RADIO then network: Tex Ritter (January 12, 1905 – January 2, 1974), was an American country music singer on radio and films. Tex Ritter (January 12, 1905 – January 2, 1974), was an American country music singer on radio and films. An early pioneer of country music, Tex Ritter soon became interested in show business. In 1928, he sang on KPRC-AM in Houston, a 30-minute program of mostly cowboy songs. That same year, he moved to New York City and landed a job in the men's chorus of the Broadway show, The New Moon (1928). He appeared as cowboy Cord Elam in the Broadway production Green Grow the Lilacs (1931), the basis for the musical Oklahoma!. He also played the part of Sagebrush Charlie in The Round Up (1932) and Mother Lode (1934). In 1932, he starred in New York City's first broadcast Western, The Lone Star Rangers on WOR-AM, where he sang and told tales of the Old West. 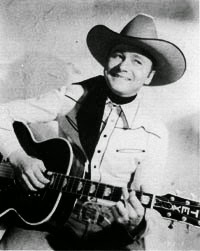 Ritter wrote and starred in Cowboy Tom's Roundup on WINS-AM in 1933, a daily children's cowboy program aired over two other East Coast stations for three years. 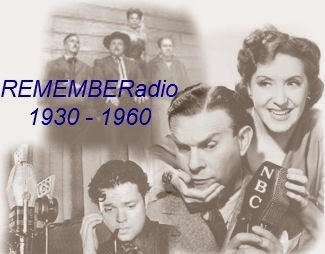 He also performed on the radio show WHN Barndance and sang on NBC Radio shows; and appeared in several radio dramas, including CBS's Bobby Benson's Adventures. Ritter was also cast in guest-starring roles on the syndicated television series, Death Valley Days, and the ABC western series, The Rebel, starring Nick Adams as a wandering former Confederate. Ritter began recording for American Record Company (Columbia Records) in 1933. His first release was "Goodbye Ole Paint". He also recorded "Rye Whiskey" for the label. In 1935, he signed with Decca Records, where he recorded his first original recordings, "Sam Hall" and "Get Along Little Dogie". He recorded 29 songs for Decca, the last in 1939 in Los Angeles as part of Tex Ritter and His Texans.